Join journalist and author Sathnam Sanghera for a panel discussion on the Amritsar Massacre of 13 April 1919. At this event, Sathnam Sanghera will launch two new books that take a fresh look at the most infamous act of colonial violence in 20th-century British India, the Amritsar Massacre. Amritsar 1919: An Empire of Fear and the Making of a Massacre explores the experiences of ordinary people, British and Indian, caught up in a storm of simmering discontent and anxiety. Eyewitness at Amritsar: A Visual History of the 1919 Jallianwala Bagh Massacre brings together comprehensive and compelling imagery along with chilling British and Indian eyewitness accounts to offer a radically different perspective of this defining historical event. Joining Sathnam in a discussion that will cut to the very heart of current debates on British rule in India will be the books' authors, Kim A Wagner, Amandeep Singh Madra and Parmjit Singh. Alongside them will be filmmaker Chris Durlacher, whose new Channel 4 documentary about the massacre was written and presented by Sathnam, and contemporary British artists The Singh Twins, whose latest project explores narratives around Empire and its legacies. 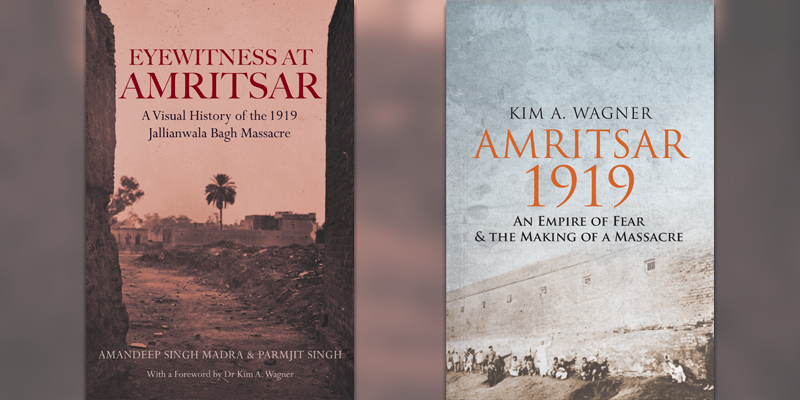 Join Kim A Wagner to learn about the experiences of the ordinary British and Indian people affected by the Amritsar Massacre of 1919. In May 1919, conflict broke out between British India and Afghanistan. Although peace was quickly agreed, the violence spread to the North West Frontier, challenging British control of that region. The birth of India and Pakistan as independent states in 1947 was a key moment in the history of Britain’s Empire and its army.